This brief discusses why, when it comes to Zika response programs, the early years of childhood development matter most. Early childhood development (ECD) programs are holistic, engaging multiple sectors in integrated services to bring about improved child development outcomes, better use of financial and human resources, and more children and families receiving services. 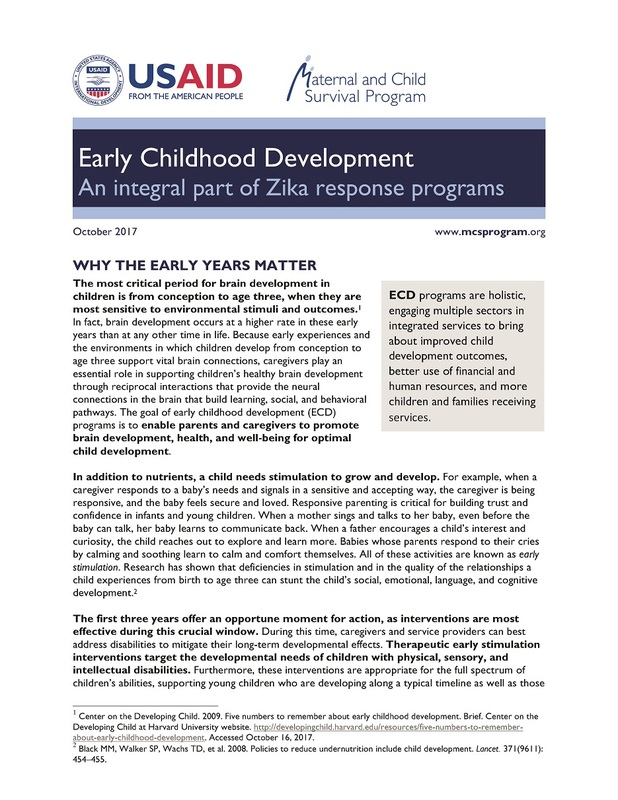 This brief explains the best ways to reach children ages 0-3 years, and how ECD programs can affect congenital Zika syndrome. The brief is also available in Spanish.